That the Earth might swallow its inhabitants, that the seas might drown the continents, that a deadly epidemic might carry off all living things, that the Sun might go out, that a fiery star might burn them or a displaced planet crash into ours—they were conceivable events, in the image of things that had happened since the beginning of the world…but this fantastic death of light, this dying of the colors, which affected the humblest of flames as well as the rays of the Sun and those of the stars, derisively gave the lie to the entire history of animals and men! In The Cataclysm, the physical laws of nature change in an entire region of France because of the arrival of a strange electro-magnetic entity from outer space. 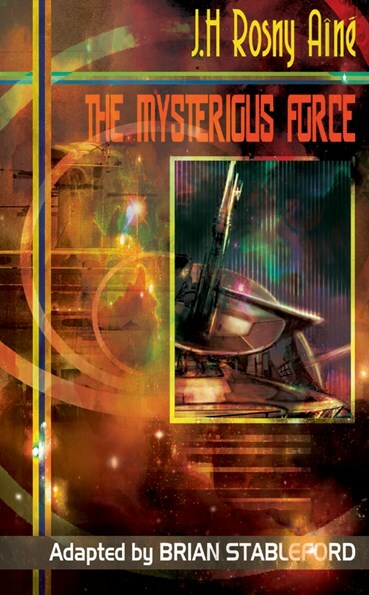 The Mysterious Force is about the destruction of a portion of the light spectrum by aliens who, for a brief while, share our physical existence. In Hareton Ironcastle, explorers discover a mysterious alien world, fauna and flora, embedded in the Heart of Africa.